I am determined to post something on this blog 3 times a week, dammit. I was tempted not to today because I am feeling blah and cranky and irritable and I have nothing interesting to say. But then I remembered Flickr Time Machine. YES! Here is a photo from this day (January 28) in 2008. That was 7 years ago. SEVEN YEARS AGO. Where has the time gone? 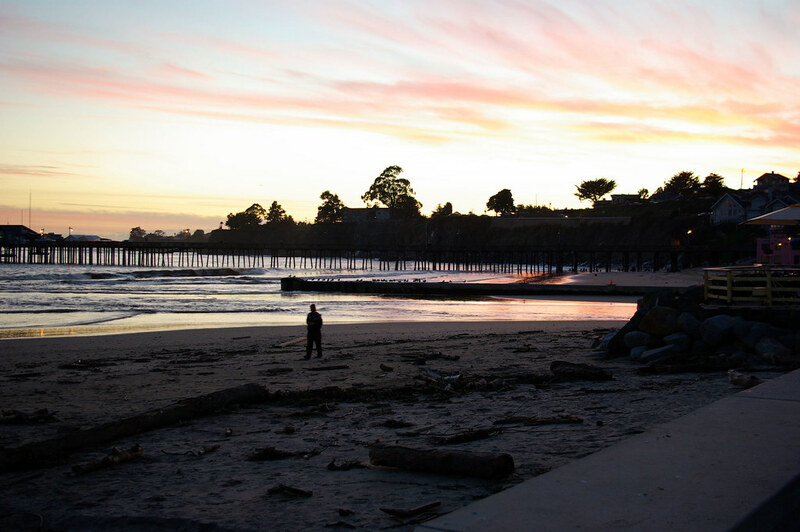 I was in Capitola, CA, visiting my in-laws and was watching the sunset with Rafael. Oh how I wish I was in Capitola right now. If I remember right, we returned to an unbelievable amount of snow and at the tail end of The Storm Of The Century.